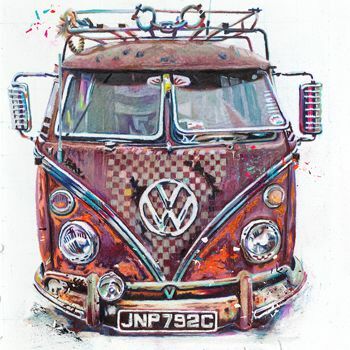 I love the character of the beautiful rusty veedub camper van which I drew following a visit to a Volksfest show near where I live. I've had fun with the flourescent colours and introduced flecks of pencil to give a sense of movement. This is available as a special limited edition restricted to just 99 signed prints.